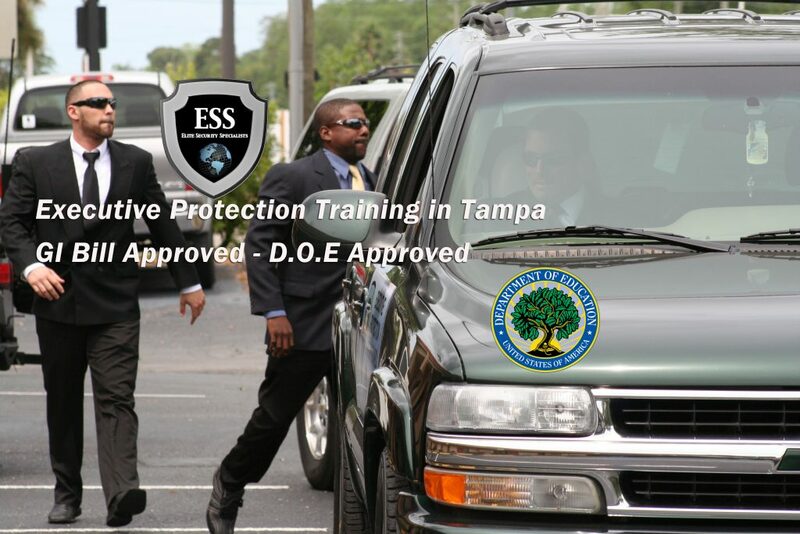 ESS Global Executive Protection Training in Tampa January 8-10 – D.O.E. 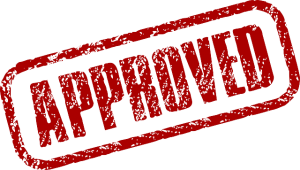 Certified – GI Bill Approved Executive Protection training in Tampa Florida. 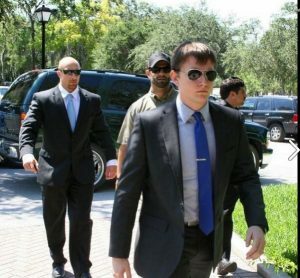 If you have read the ESS Guide to Executive Protection Training, and you have determined it time to get started, ESS Global Corporation has an Executive Protection Training in Tampa September 9th. This training is an intensive 3-day training designed to get your career off to a great start. If you are looking for a GI Bill® approved Executive Protection School, ESS Global Corp, a recognized leader in global security, now offers GI Bill® Approved Executive Protection Training, and is the only GI Bill approved Executive Protection School in Florida. You should only attend a school that is licensed through the Department of Education (D.O.E.). Then, you know that both their curriculum and instructors have had to of been reviewed and approved. All instructors have had background checks performed on them and have had to provide credentials that attest to their knowledge and ability to properly instruct. Additionally, the course syllabus is reviewed and approved by the Department of Education. ESS Global uses proven methodology, derived from protective security operations, security consulting and of course, security training, in over 60 countries around the world. These operations have been conducted in threat environments ranging from “negligible” to “imminent”. 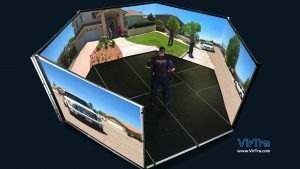 In addition to being the only D.O.E Certified Executive Protection School here in Florida, we are the only school offering active shooter training as part of our Bodyguard/Executive Protection training via the only VirTra Simulator here in Tampa Florida and the 1 of only 2 pubic installations in the entire country. It’s a close to real as you’ll ever get. And ESS Global is currently the only Executive Protection Training in the country utilizing this state of the art tool. This is a training you don’t want to miss covering; Threat Assessment, Advance Tactics, Route Reconnaissance, Area Surveillance, Movement Safety, Situational Awareness, Defensive Driving and Evasion, Crowd Control, Vehicle Placement/Movement, Embus and Debus plans, and more. Our Next 3-Day Executive Protection Training in Tampa January that is open for registration is January 8- 10 2018 here in the Tampa/Clearwater area (MAP). If you miss that one, or it fills before you read this, you can access our calendar of events. 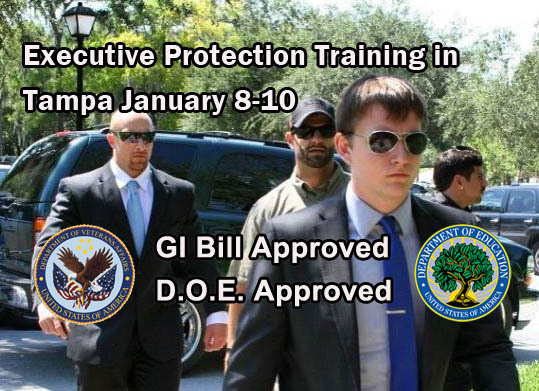 Additionally, ESS offers a 28-Day Executive Protection Training that is also GI Bill approved. The next month long MEGA EP course runs January 8 – February 4. Posted in ESS Global Corp, school, training and tagged close protection school, close protection training, ESS Global Corp, executive protection, executive protection school, executive protection training in tampa january, Florida, GI bill approved executive protection training, Tampa.